Hang Gliding Tahoe - The best thing to do in Lake Tahoe! 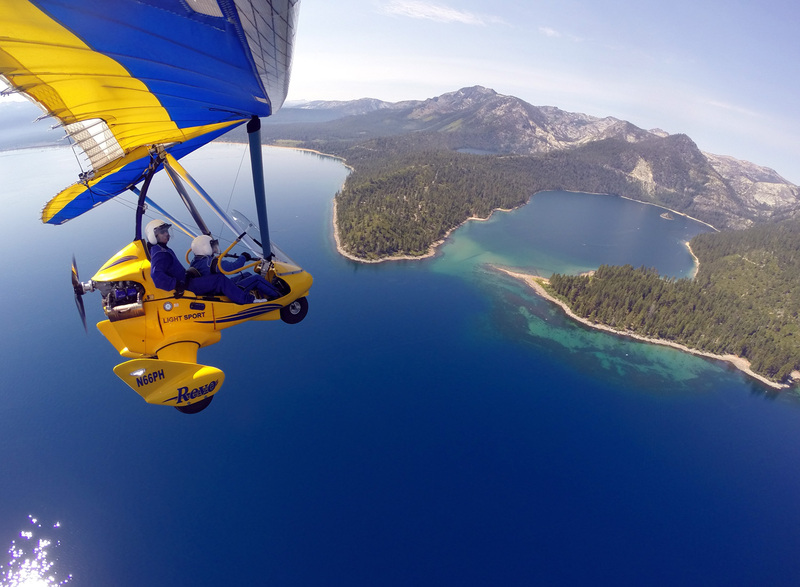 FAA Flight Instructor, Paul Hamilton at Sport Aviation Center LLC offers powered hang gliding discovery flights overlooking Lake Tahoe. These are for the first time pilot as well as those with experience. Think of it! 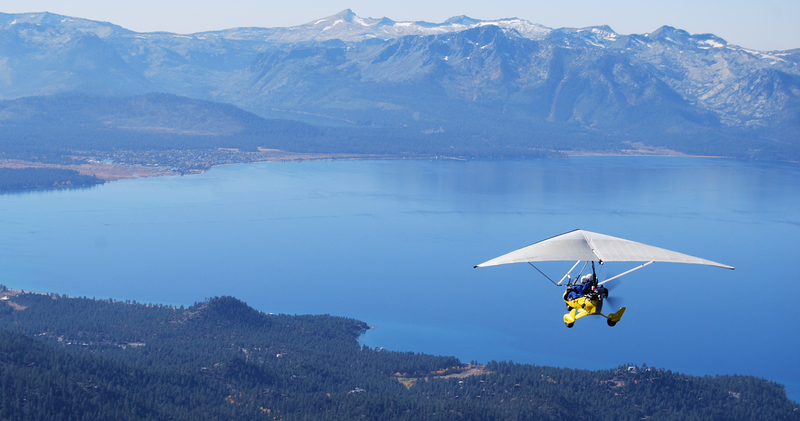 Just you, your instructor and your very own powered hang glider above Lake Tahoe. 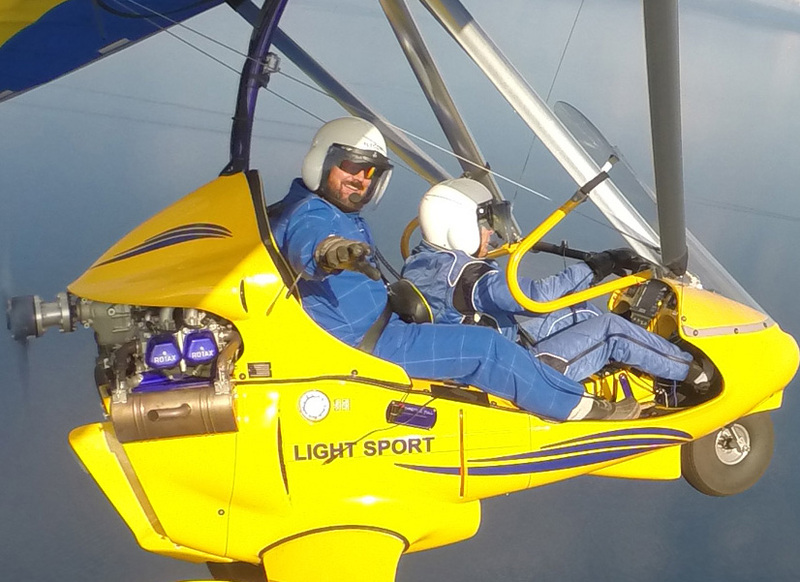 Take an interactive flight lesson in a powered hang glider, also known as a Weight-Shift Control Trike. This FAA approved light-sport aircraft features a modern hang gliding wing, very much like a traditional hang glider, but powered by a reliable Rotax aircraft engine. This is a safe, unique and thrilling activity for Reno and Lake Tahoe. One student and instructor per aircraft. We Keep You Toasty Warm During Your Wintertime Adventure! Winter flying can be spectacular with snow in the mountains and a completely new view of Lake Tahoe. We keep you toasty warm with the latest technology in heated clothing, boots and gloves. Visit our page Winter Flying to learn more. Check our FAQs for answers to any other questions you have. Don’t Miss Out on The Thrill of a Lifetime! Soar over the beauty and wonder of the high Sierras. Experience stunning Lake Tahoe and the rugged Sierra mountains from a birds-eye view few ever experience. Flying a powered hang glider trike is incredible exhilaration of a lifetime! Book a Flight.